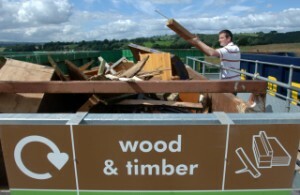 Bulking facilities can be used if the recyclable waste is collected ready-sorted. This could be from households that have been asked to sort their recycling into separate containers or from neighbourhood recycling points. 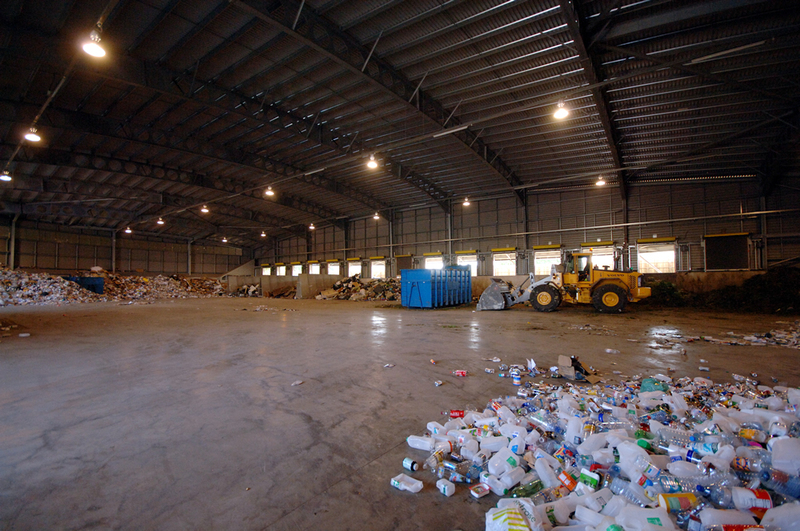 The sorted waste is unloaded from the collection vehicles and bulked into separate piles. Balers are used to compress the sorted materials into dense bales ready for efficient transport to a materials reprocessor where they are turned into new products. The Partnership currently uses Bulking Facilities at Villiers Road, Kingston and Garth Road in Morden. 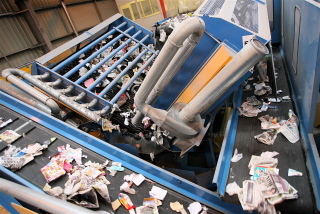 A Materials Recovery Facility (MRF – commonly pronounced ‘murf‘) receives dry recyclable materials (such as plastic, glass, paper, card and tins) that are mixed together (‘co-mingled’). The co-mingled materials move along a system of conveyors, travelling through various sorting mechanisms, such as magnets, which separate out the materials. The process also usually includes some element of sorting the materials by hand. Balers are used to compress the sorted materials into dense bales ready for efficient transport to a materials reprocessor where they are turned into new products. The Partnership currently uses a Materials Recycling Facilities (MRF) in Kent (view the video below). Household Reuse and Recycling Centres (HRRCs – also referred to as ‘the tip’) are sites located in each of the four Partner Boroughs where residents can bring items to be recycled. They allow residents to recycle a wider range of materials than they can from home using the kerbside recycling collection service – for example, books, DIY rubble, electrical appliances, engine oil, scrap metal and wood. There are six Household Reuse and Recycling Centres located across the four Partner Boroughs. For further details, please visit our Household Reuse and Recycling Centres page. There are two techniques that are used to compost on a large-scale. These are called ‘In-Vessel’ and ‘Windrow’. An In-Vessel composting facility is used to treat food and garden waste. 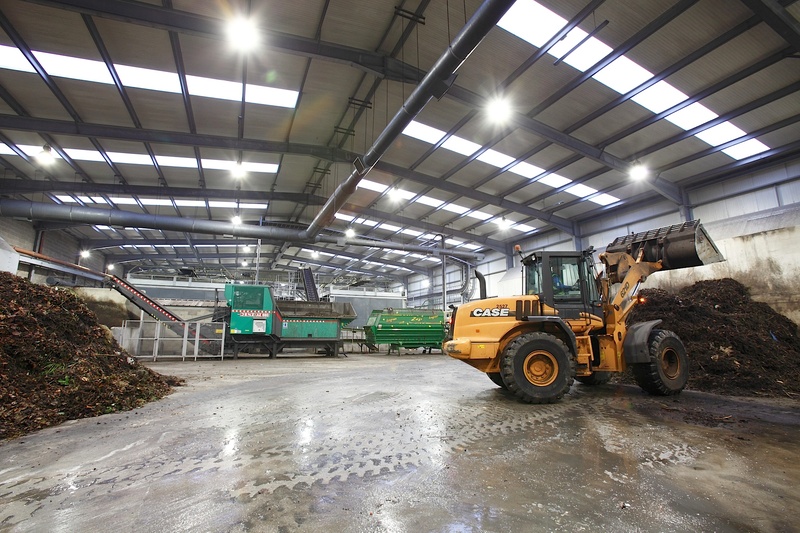 The food waste is shredded, mixed with the garden waste and placed in large sheds (vessels) where the moisture content, air flow and temperature can be controlled and the optimum conditions for composting are created. The waste is left in these vessels for seven days. Temperature probes ensure that there is sufficient heat to kill any dangerous bacteria – it must achieve a temperature of 60°C for at least two continuous days. The waste is then transferred to a maturation pad for the final stage of composting. The whole process takes about eight weeks. The high quality compost that is produced is used in parks and public gardens. 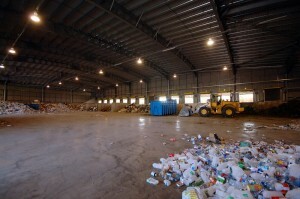 Windrow composting takes place in the open air. To allow the composting process to occur, a compost heap must be no more than about 1.5 meters in height. Once it goes above this height, the compost heap needs to be extended lengthways into what are known as a ‘windrows’ – basically low mound-shaped heaps, wider at the bottom than at the top. Windrows are turned regularly to ensure that all the material spends some time in the warm, moist centre of the heap. Because it takes place in the open air, controlling odours can be a challenge, so Windrows are typically used to compost only garden waste rather than food waste. The Partnership currently has access to seven industrial composting facilities. These facilities are located in East Sussex (Isfield, Lewes), West Sussex (Chichester, Crawley, Tangmere), Kent (Swanley) and Essex (Colchester). They are operated by four specialist companies: KPS Composting Services, The Woodhorn Group, Tamar Organics and Birch Airfield Composting Services. Anaerobic Digestion is biological process that happens naturally when bacteria breaks down biodegradable waste (such as food, paper, cardboard and waste created by animals) in an environment with little or no oxygen. The process produces a methane and carbon dioxide-rich biogas. Anaerobic Digestion plants can capture this gas and use it to fuel electricity or combined heat and power generators instead of fossil fuels. The solid material (or ‘digestate’) that is left over when the anaerobic digestion process is finished can be used as a fertiliser as it has good moisture retention properties and can help protect plants from disease. 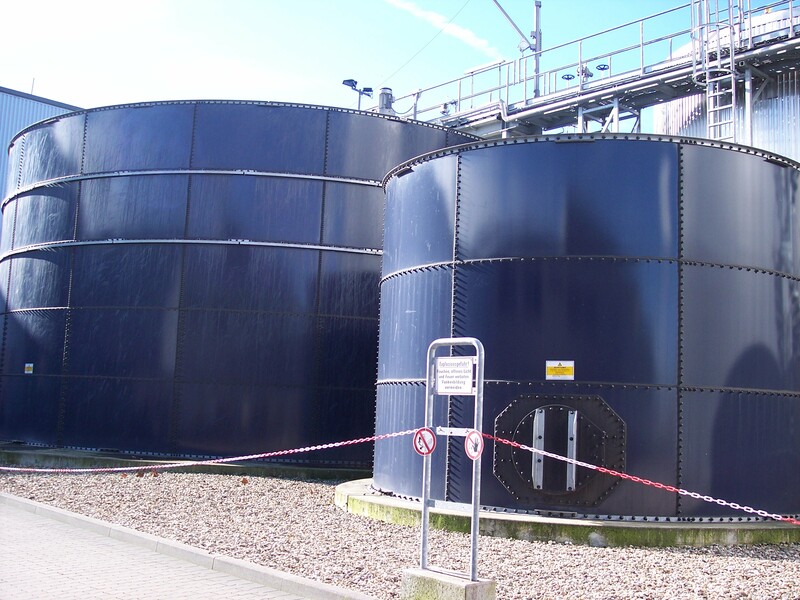 When used to treat general residual waste , the Anaerobic Digestion process requires significant mechanical pre-sorting to take out materials that are not suitable for this type of treatment. Anaerobic Digestion can also be used to treat biodegradable waste that has already been separated – separately collected food waste for example. In these circumstances, the pre-sorting stage is not required. Anaerobic Digestion is a commonly used technology in some other European countries, but this is not yet the case in England. The plants are relatively expensive to build and operate. Having said that, they have been recognised by the United Nations Development Programme as one of the most useful decentralised sources of sustainable energy supply as they are cheaper to build and operate than large power plants. The Partnership currently has access to an Anaerobic Digestion facility run by Agrivert in Trumps Farm, near Chertsey, Surrey. What about non-recyclable waste. What happens to that?